New celebrity gymnastic show Tumble coming to BBC One! There’s a new talent show coming to BBC One later this summer called Tumble – and it’s basically Strictly Come Gymnastics! Loads of celebrities will be competing against one another every Saturday night in various gymnastic challenges! Among the stars taking part are Girls Aloud’s Sarah Harding, Sugababes singer Amelle Berrabah and EastEnder John Partridge! 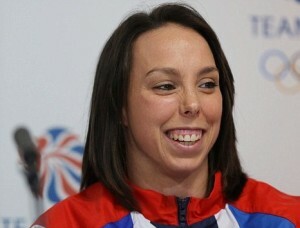 Olympian Beth Tweddle takes the role of head coach and it’s being presented by The One Show‘s Alex Jones! Judging by the photos we’ve seen so far it looks like training is pretty tough! Ian Watkins, better known as ‘H’ from pop group Steps, has shared some snaps of his gruesome injuries! There’s not long to wait to see the stars in action – Tumble kicks off in two weeks time! Tumble is on BBC One from August 9. Are you excited for Tumble? Let us know in the comments below.